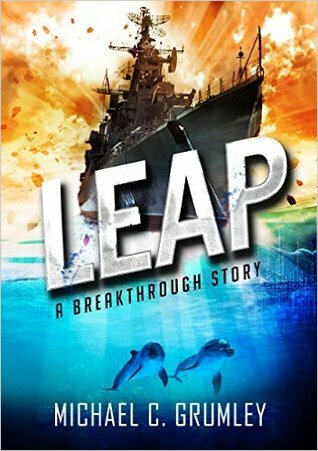 The second book in the Breakthrough series, Leap, is a fabulous read. Fast-paced without sacrificing plot or character, it carries the reader back into the lives and amazing discoveries of the group assembled in the opening book, Breakthrough. The story begins a year after the life-changing events in the first book. Still reeling from various encounters (including interspecies), findings unearthed and relationships formed, the core group consisting of Alison Shaw, John Clay, Steve Cesare, Lee, Chris and Will are once more brought together when a Russian sub is discovered lurking off the coast of South America. More suspicious, a Chinese ship is found in a minor port. Seemingly abandoned, it’s not until night falls that activity commences and a mysterious cargo, clearly taken from the local jungle, is stored aboard. What’s the cargo? Why all the cloak and dagger? What’s its purpose and, more importantly, what do the Chinese and Russians know that the rest of the world (aka the US) don’t? Determined to discover what the Chinese are up to, no-one is prepared for what’s uncovered and what the cost of that is – a cost that only becomes clear once it’s understood the lengths the Chinese will go to ensure no-one else learns what they have. It will take not only Alison, John and Steve and their friends – including Dirk and Sally – every ounce of talent and courage to uncover what’s going on, but also the skills of Deanne and her gorilla Dulce. But is the price of such knowledge worth it? I found it hard to tear myself away from this book. Grumley’s writing, the way he creates such sympathetic and rounded characters, including the primates and dolphins is really remarkable. Finished this and immediately downloaded and started the next one. Amazing.